We've had so much snow in the past 10 days that getting out to shop for Valentine's Day hasn't even been a possibility. Thank goodness for online shopping to save the day! This year, I found some really great farmhouse Valentine's decor and gifts, and the best part is that they are all completely unique. When I shop online, I really like to support small businesses because that's something that's especially important to me. Small businesses are the heart of America, and they make a tremendous difference to our local economies and the real families who are doing the hard work behind the scenes. 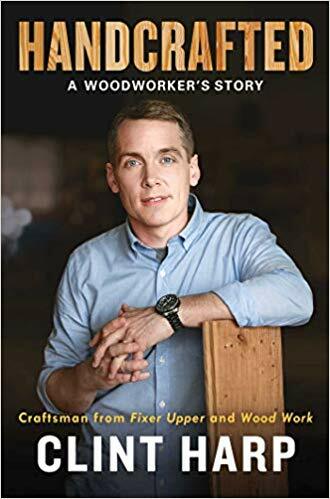 You can read more about why I choose to "shop small" here. 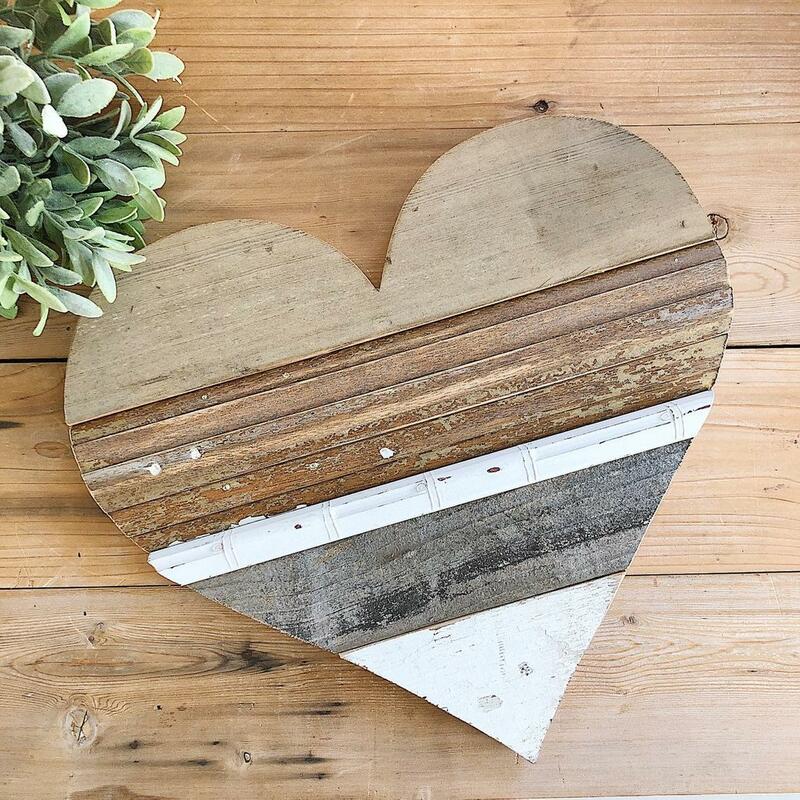 Today, I thought I would share my top 10 favorites for anyone who loves farmhouse decor and might be looking for something unique this Valentine's day. As a bonus--there are some coupon codes included below that you can use too! I hope you find a unique treasure in this list to love this Valentine's day! I love these upcycled wooden hearts made by my friend Aimee at Rustic Occassions. 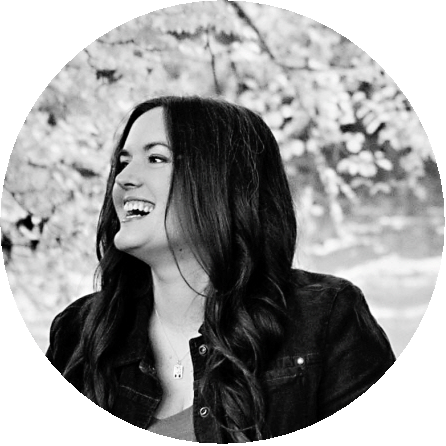 Aimee collects vintage and reclaimed wood moldings, furniture pieces, and other items that she uses to create these beauties, so they are truly one of a kind little pieces of historic art! She makes these in a variety of sizes, and each one is a little bit different due to the materials she uses. Aimee created an exclusive coupon code for our French Creek friends and family that you can use to take 20% off your order! Click here to check out her selection and use code FCF20 at checkout. When I started blogging, one of my first virtual buddies was my dear friend Terri. We instantly found that we had so much in common, and our friendship grew as we spent a lot of time writing to each other and learning more about the interests we both shared. 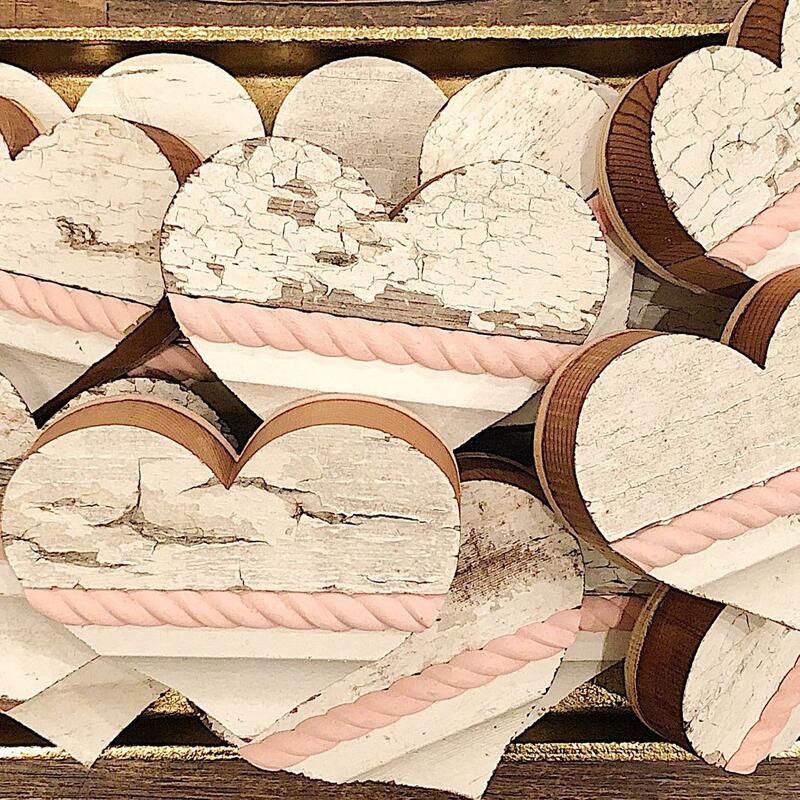 Terri just recently opened her own online shop where she crafts the sweetest wooden hearts that are perfect for Valentine's day. I couldn't resist these, and she made a custom one just for me that you can see in the first photo in this post up above! I love the vintage papers, lace, and other touches she uses to make each one unique, and I know the care she puts into every single item she crafts. 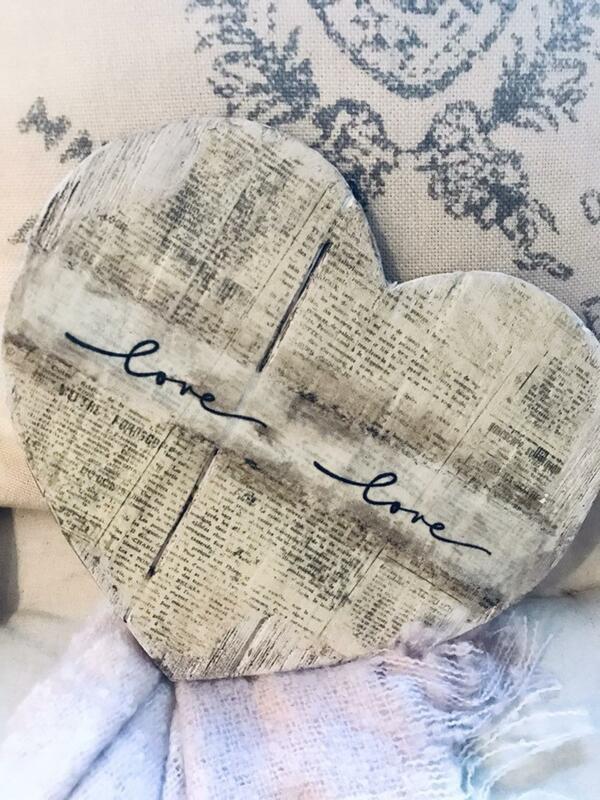 Terri created a discount code that you can use for 10% off any item in her new shop through 2/15/19, and you will definitely find lots of great decor there! Click here to check it out and use code FRENCHCREEK10 at checkout. Another beautiful area where my friend Terri uses her talents is in creating stunning wreaths. The name of Terri's shop is the Painted Pink Peony Company, and I love her use of gorgeous peonies in many of her designs. These wreaths are a great gift that can be used throughout springtime and all year long, and no farmhouse is complete with a beautiful wreath on the door! 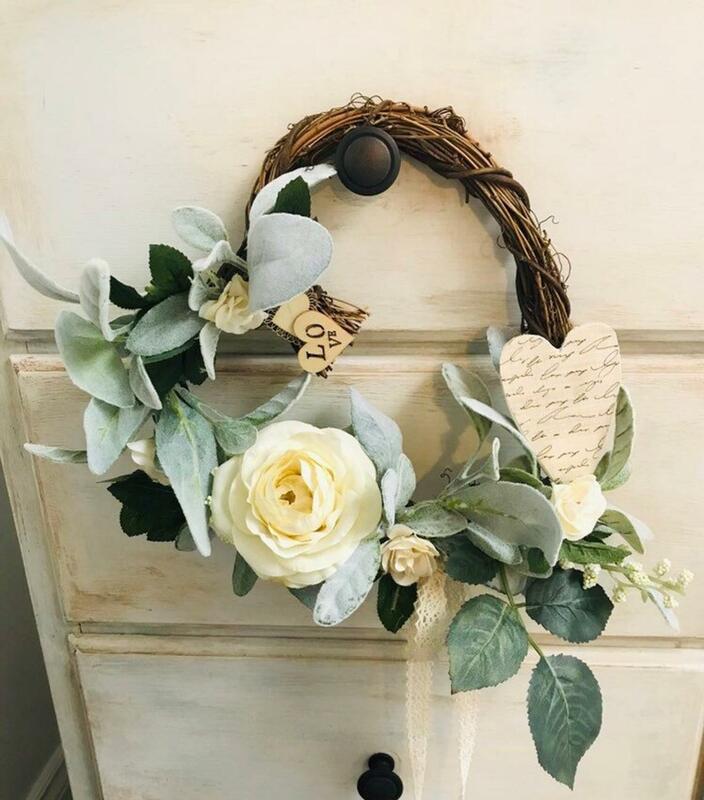 Click here to see more wreaths and use code FRENCHCREEK10 for save 10% at checkout through 2/15/19. I may have mentioned this a time or two, but I am positively addicted to my friend Traci's online vintage shop. 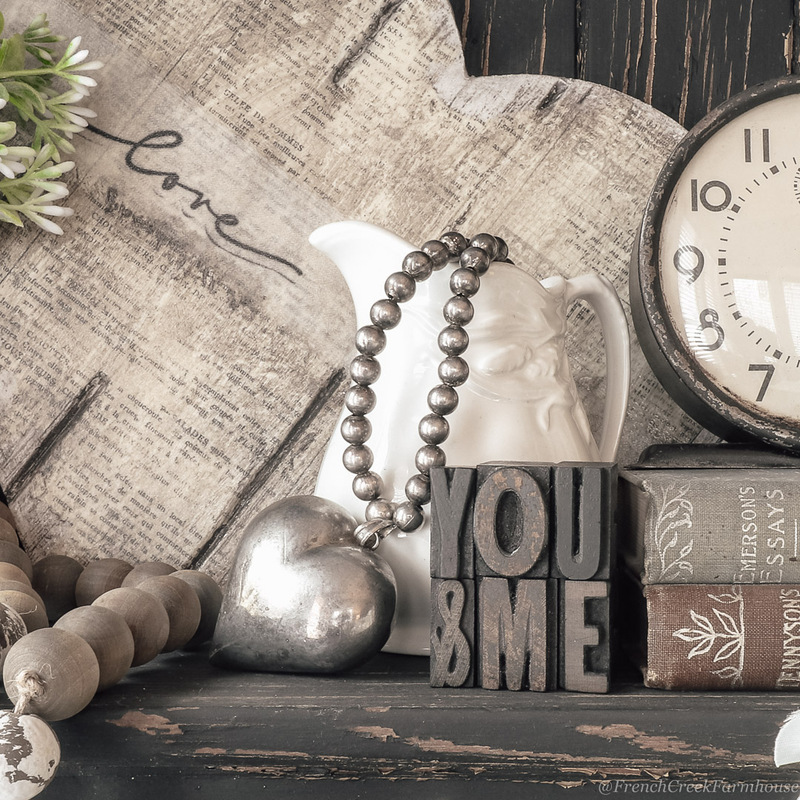 Traci specializes in vintage typography items--everything from letterpress to cow tags to vintage stamps, plus an eclectic collection of vintage industrial and farmhouse decor. If you love typography, you will be enthralled with her gorgeous collections and absolutely incredible prices! These were some of the letters that I recently bought from Traci's shop, and I love working them into little decor vignettes around our home. 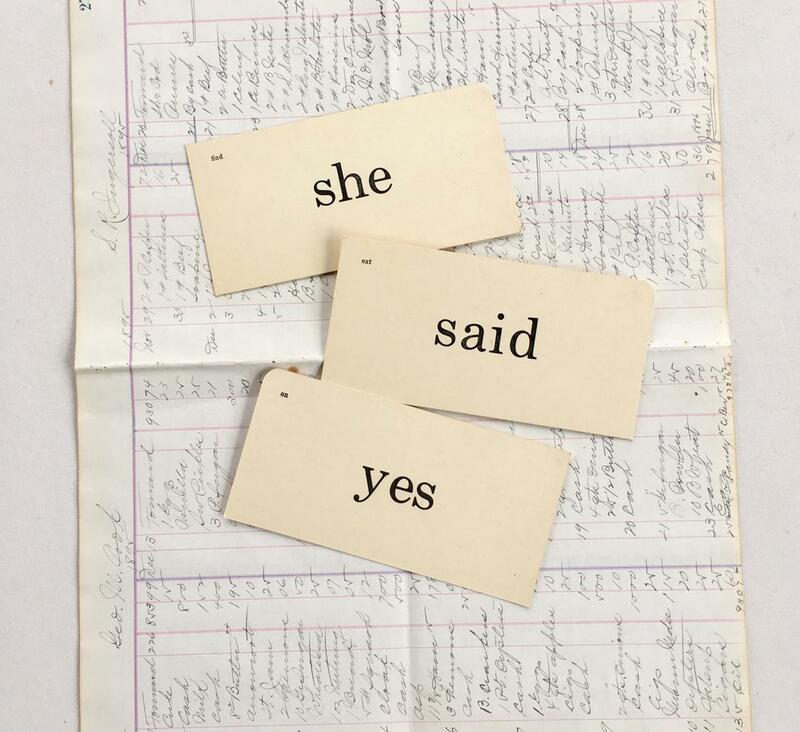 Lately I've been pretty obsessed with finding vintage flashcards. I look for them in every antique shop I visit, and I am ecstatic when I can find them. It certainly fits in with my love of typography too! 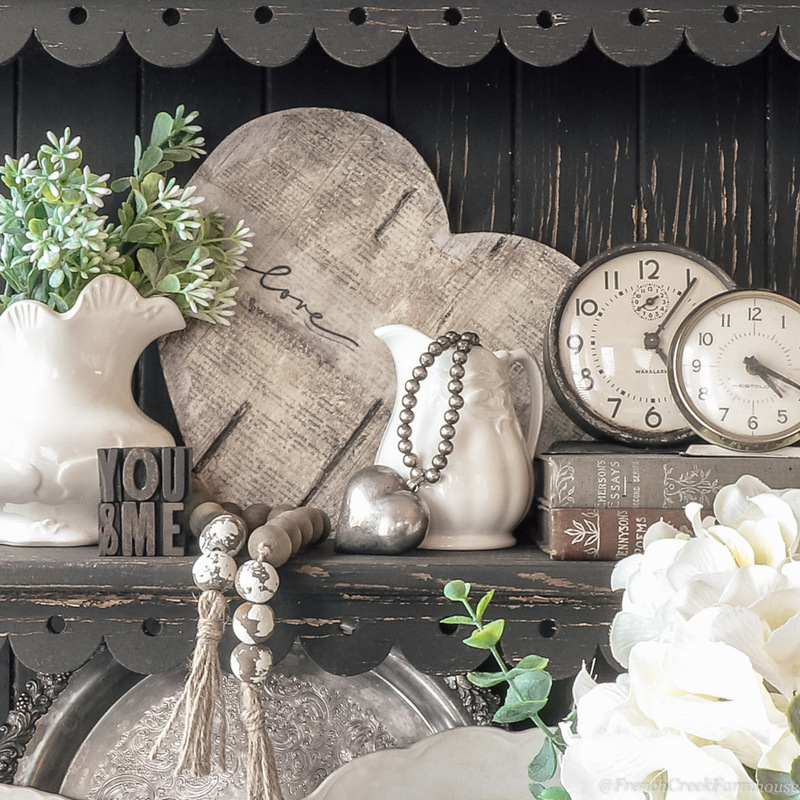 I love the idea of creating heartfelt sentiments for Valentine's decor, and they fit perfectly with vintage and farmhouse style decor. I like the plain words, like in the photo above, but the variety with small pictures (like these) are also charming! Years ago, making signs was my primary craft for selling at markets and taking special orders. Hand-lettering is a time consuming activity, but I still love doing it when the mood strikes. When I saw this creative sign with the alphabet, I was instantly in love. 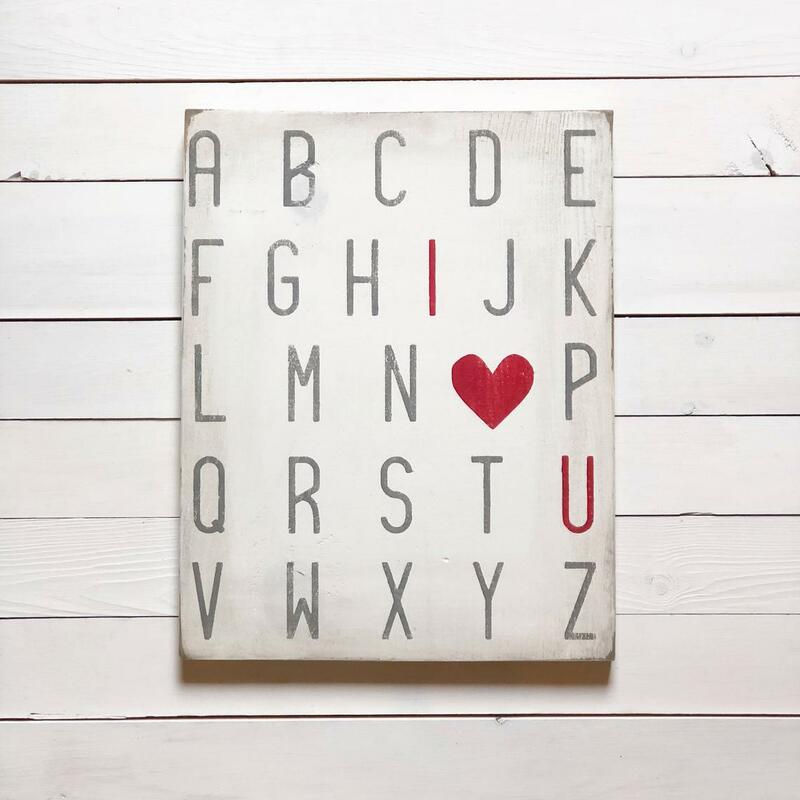 It's a perfect blend of my affection for typography with unique wall art, and I think it would be darling in a kid's play area too! I recently shared how I created a Valentine's heart garland (including a template you can download to create your own), and I love draping garlands around the house. Not just on the fireplace mantel, but also on shelves, around mirrors, and over picture frames--they are so versatile! 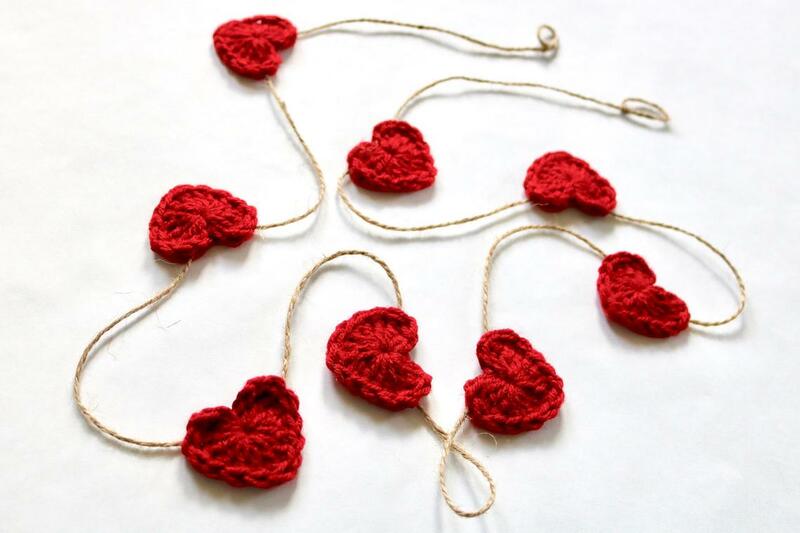 I loved these crocheted hearts, especially. I never learned to crochet, and after seeing these at such an affordable price, I don't need to! Rag garlands are another favorite of mine that fit perfectly with farmhouse decor, and I loved these in Valentine's colors. 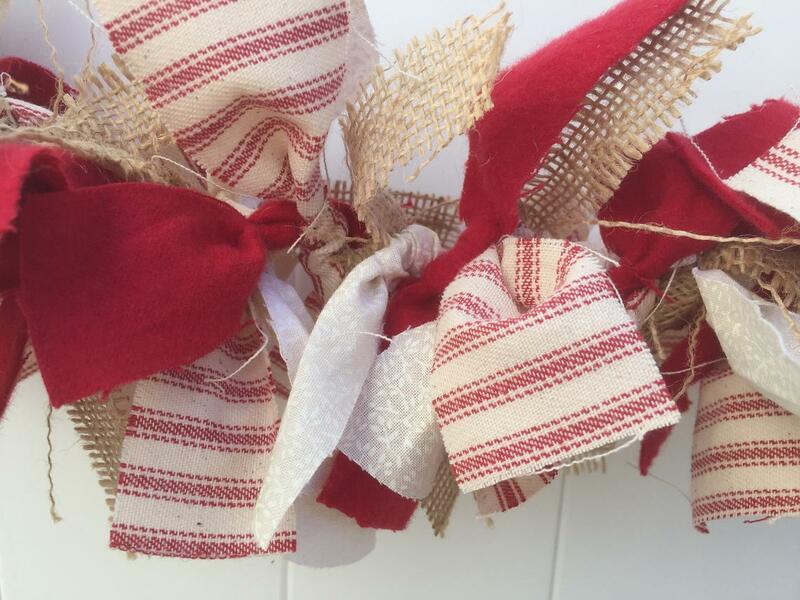 There are so many great uses for a garland like this--after Valentine's, it works great for Independence Day and Christmas too! Garlands are strings of items that can be draped in loops or swags to decorate an area. Bunting, however, is more specific. Bunting has a flag-like quality, and the word is derived from the type of fabric that was used to make these kinds of flags for navy vessels, called buntine. The sailor who was responsible for raising the flags in communication was informally known as the "bunts" in the British navy, and that's a term that is still in use today for communications officers. Over time, the word buntine evolved into bunting, and that's what we call it today. I love bunting for a farmhouse aesthetic, and now you can wow your friends with a piece of historical trivia the next time they compliment your decor! 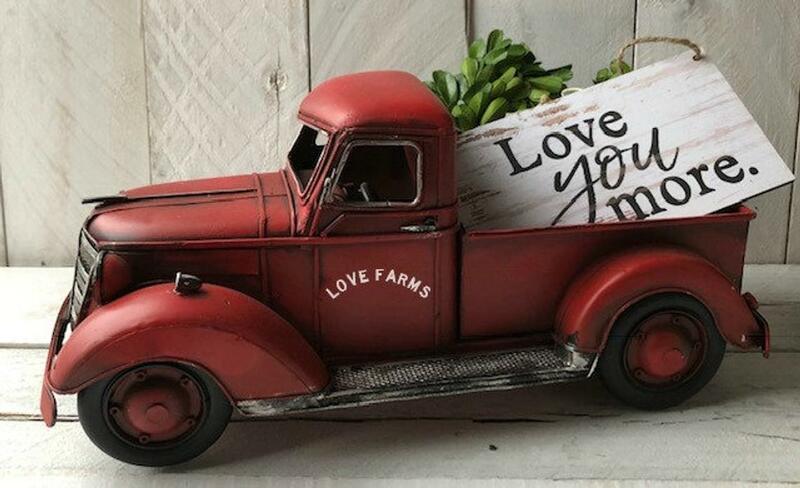 An old pickup truck loaded up with love is about as "farmhouse" as you can get for Valentine's decor! I absolutely swooned over these when I found them, and they come in two sizes. I think the large size would be perfect for a mantel or tablescape, and the small size would be adorable in a tiered tray display. Plus, the artisan can customize them with your farm or family's name on the door of the truck! I have jokingly said this at least a hundred times, but throw pillows are the stuffed animals of grown women! We (correction: I) have SO many throw pillows around our home, and I love how cozy they make a room feel. A great way to manage your collection, however, is with pillow covers that you can change whenever it suits you. 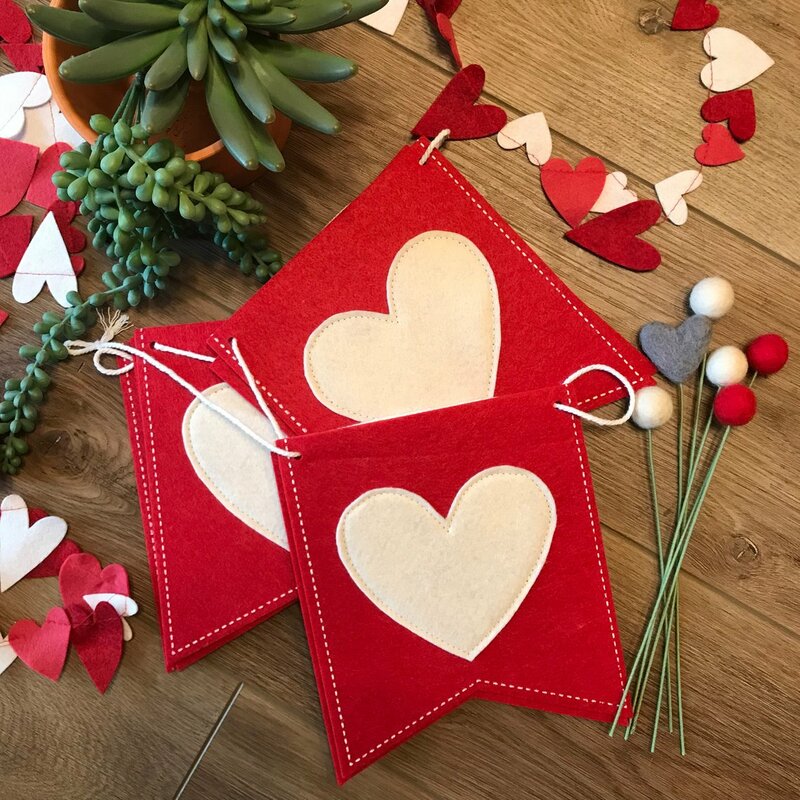 My friend Kendra makes some truly beautiful ones--in fact, there were so many that are perfect for Valentine's decor that I had trouble picking one to feature in this post. 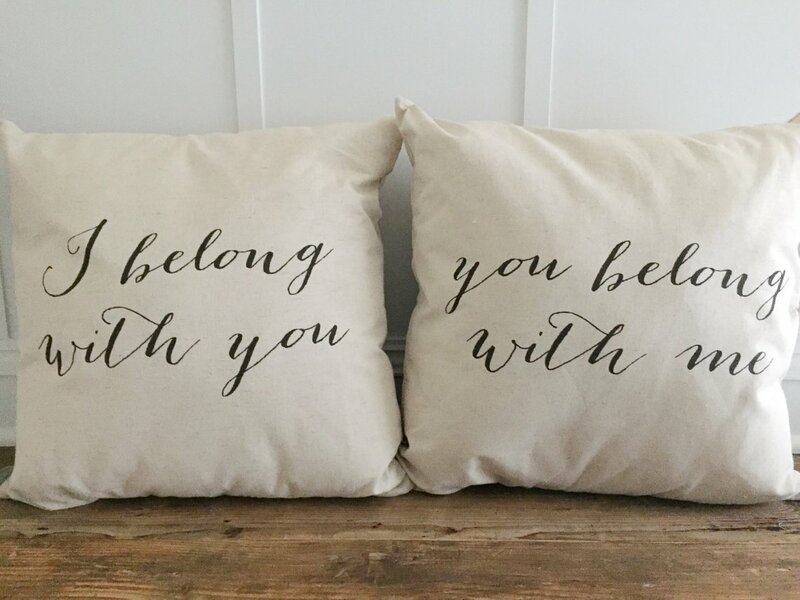 Everything she makes is perfectly suited for farmhouse decor, and this set of two would be so sweet on your bed or on the couch in your family room. You can scroll through all of her gorgeous designs right here! 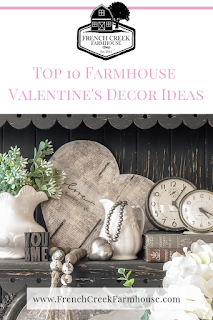 I hope this collection of unique farmhouse Valentine's decor gave you at least a few ideas for decorating your home with love! Which one was your favorite? I'd love to hear! I love every one of these things! You have such a way of curating amazingness ��! 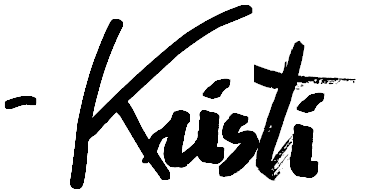 Thank you for all the ideas, Kristi! !